Margo is a gorgeous crepe fit-and-flare wedding gown by Enzoani. It features an illusion unlined lace bodice and sultry split in the front skirt. 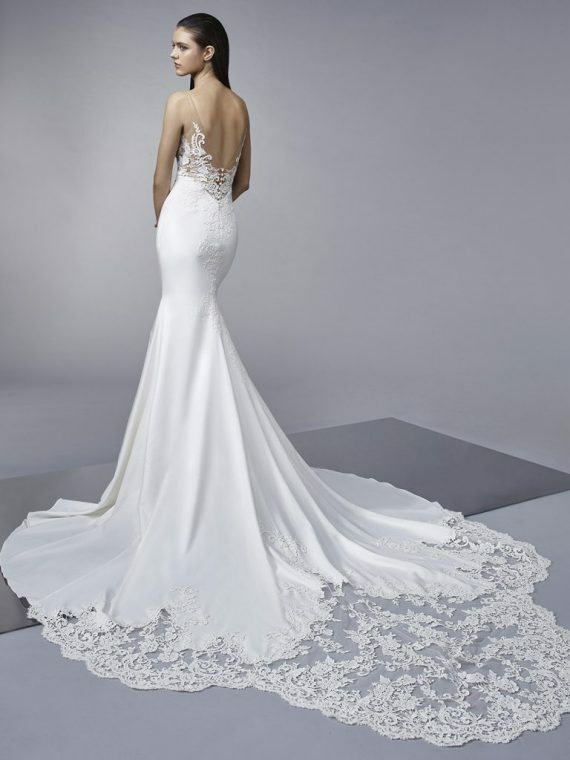 This gown has a show stopping lace train to wow your guests with on your wedding day!